Make brownies according to box directions. Cool and trim the edges away. Using a cookie scoop or a measuring spoon, scoop the brownies into 30-36 balls about 1 Tbsp each and roll into a balls. Set on a parchment-covered baking tray. 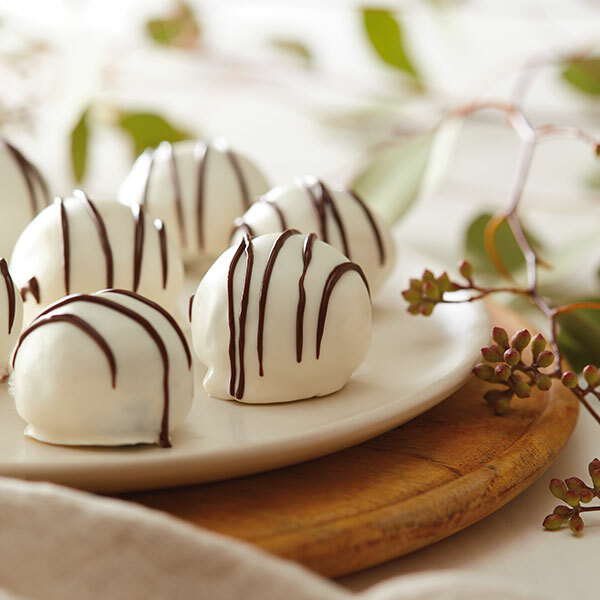 Melt the white and dark chocolates separately according to package directions. Remove the brownies from the freezer and roll them in either the white or dark chocolate, lifting with a fork and allowing the excess to run back into the bowl. Place on the baking sheet to set, then drizzle the tops with any contrasting leftover chocolate. Store in refrigerator.